The Tobacco Hotel is the transformation of one of the oldest tobacco houses of Thessaloniki into a first class hotel. 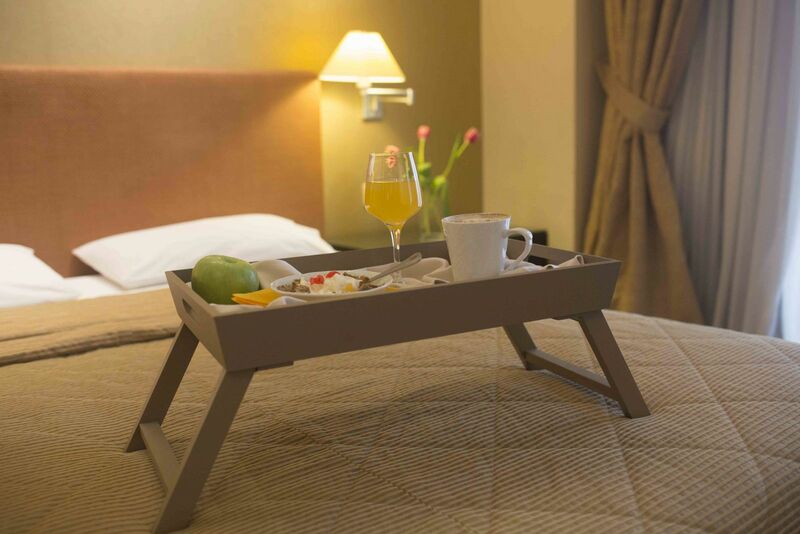 The Tobacco Hotel aspires to offer you a home away from home whether you visit Thessaloniki for business or recreation. Its location offers the unique advantage of being at the city centre while at the same time in a quiet neighbourhood. The 57 deluxe rooms are defined by their comfort and utility covering the needs of both business guests as well as leisure visitors. A place meticulously cared for, our specialized personnel and the friendly environment we have created are some of the reasons that would make your visit worthwhile. Functional and comfortable, the executive suite is ideal for couples and families. A combination of comfort and warmth. The ideal choice of stay. Aiming for your ultimate comfort, these rooms will satisfy the most demanding guest. 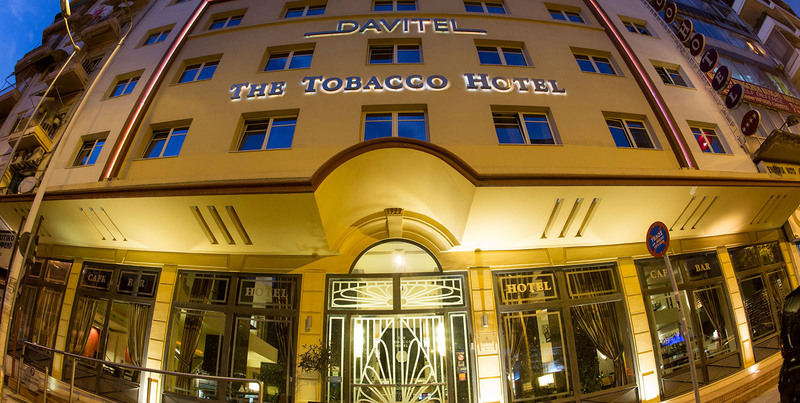 At Tobacco hotel, visitors are well taken care of by the staff which is available at any time and ready to cover all your needs with respect and discretion. Each stay of yours, hosting your guests, friends and partners, orginizing a family, friendly or company event or meeting is a new challenge for our people. 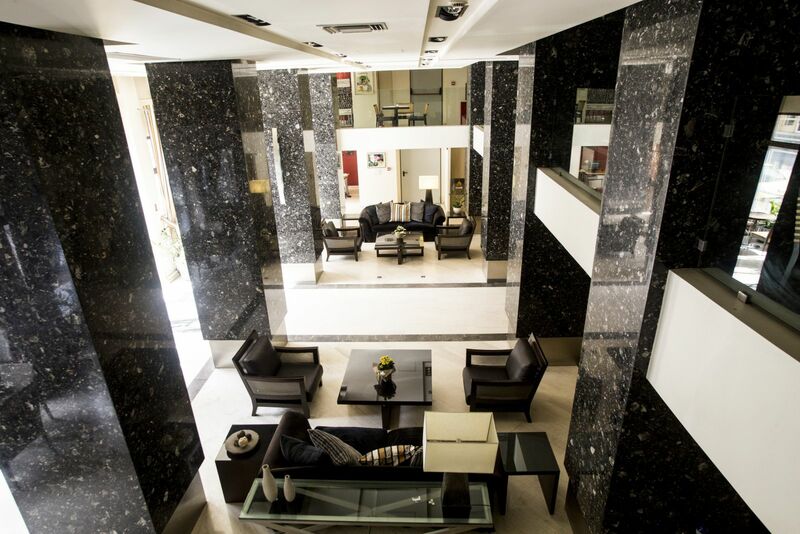 The business corner is located in the lobby area and it is available free of charge 24 hours for our guests' best service. A private 24-hour parking is available nearby with an extra charge. Breakfast is served in our restaurant on the middle floor from 7.00 until 10.30. A rich buffet with local flavors and products is ready every morning to satisfy our guests' needs. 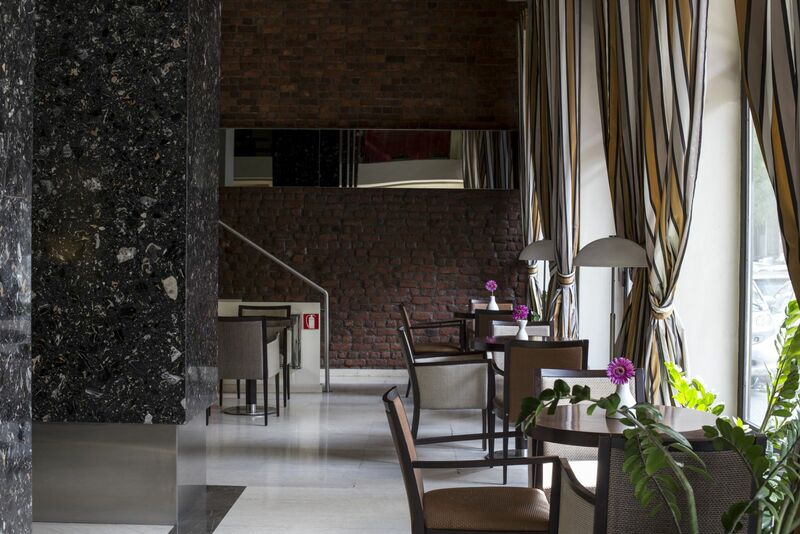 The lobby cafe bar is an area where the harmonic combination of marble and wood, along with the relaxing music, offer a getaway from the city, where you can enjoy your coffee or drink.